In what could be seen as quite a shocker within the 3D printing space, but could also go a long way in solidifying 3D Systems’ consumer/prosumer 3D printing portion of their business, the company announced today that they have acquired botObjects. For those familiar with the 3D printing space, this announcement has to come as a bit of a surprise. botObjects is a company that has provided a lot of hope within the consumer level 3D printing space. While this hope remained in the hearts of some, over the course of the past year to year and a half, that hope had begun to fade as many people who had pre-ordered the company’s printers began claiming that the botObjects was a scam. While botObjects claimed to be shipping printers out to those clients who had pre-ordered their machines, very few were actually getting them, and some believed that the entire company was actually some sort of hoax. botObjects claimed that their FFF-based 3D printer could print in multiple colors, and even mix colors together during a print job, using a technology called PlasticJet Printing (PJP). While I personally confirmed this, by witnessing the printer in action at the Inside 3D Printing Conference in NY back in April, many individuals were not convinced. Some began thinking that botObjects was merely taking pre-orders, in order to run off with the money, while not actually working on manufacturing a product at all. Today comes news that will surprise even supporters of botObjects, and will certainly prove the company’s naysayers wrong. 3D Systems (NYSE:DDD) today has announced that they have acquired botObjects and are using the technology behind the company’s printers in order to manufacture their own new CubePro® C Full-Color 3D Printer. 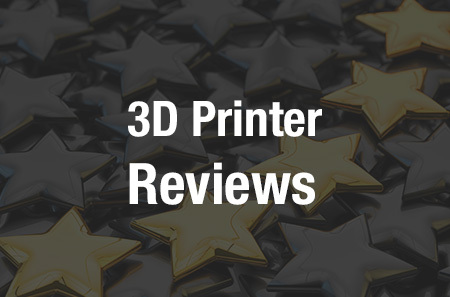 While terms of the agreement were not released, those still suspicius about this technology can see it in action with their own eyes at CES 2015, where the CubePro® C Full-Color 3D Printer will be on display at the 3D Systems booth located at the Sands Expo, booth 72225. The original botObjects ProDesk3D printer will be folded and the CubePro C by 3D Systems will emerge, offering a true full-color printing experience at a price tag of just $4,990. The CubePro C is capable of printing down to just 25-micron layers with speeds of up to 175mm per second, using both PLA and ABS material, as well as PVA support material. As for those who are still awaiting pre-orders of the original ProDesk3D, the company plans to fulfill all of these orders. The CubePro C will only be available in limited supplies until they expand production later this year. What do you think about this incredible turn of events for botObjects? Apparently this deal was in the works for some time, and perhaps was what was causing all of the significant delays and lack of communication on behalf of the company. Are you looking forward to the new CubePro C from 3D Systems? Discuss in the botObjects/3D Systems Acquisition forum thread on 3DPB.com. Check out the video of the original ProDesk 3D below.